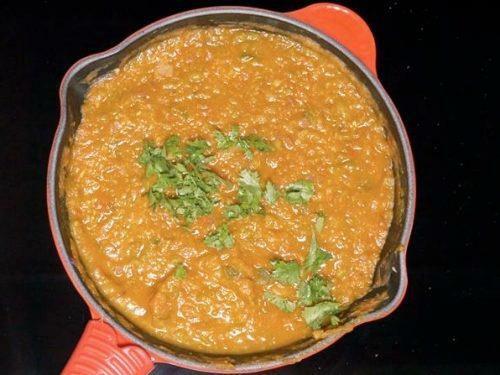 Pav bhaji recipe – A delicious blend of mix veggies cooked in butter & spices, served with soft butter tasted buns. 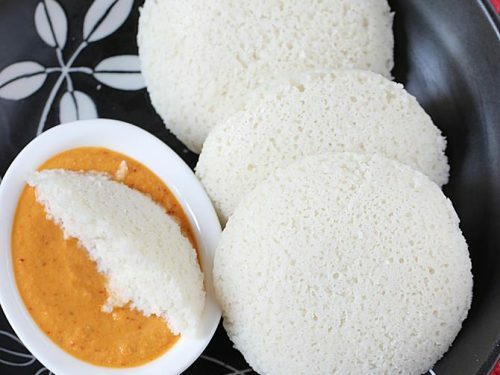 Pav is an Indian bread and bhaji is mashed vegetables cooked with spice powder. 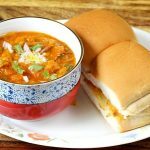 This post will guide you to make the easiest & best pav bhaji that tastes delicious and flavorful. 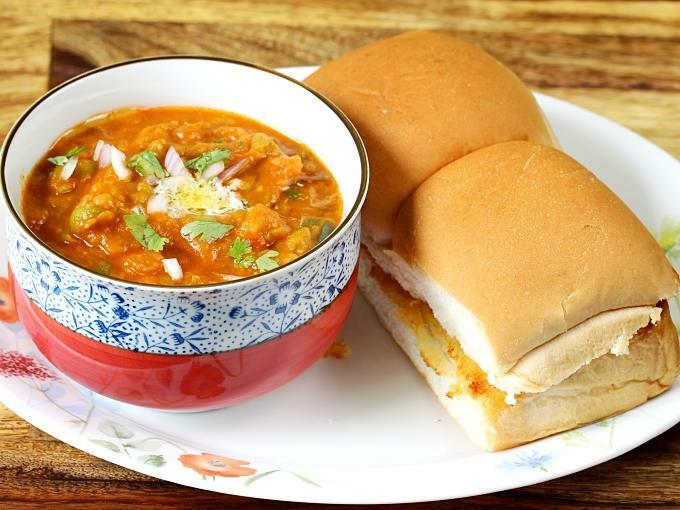 Pav bhaji is a popular Indian street food that consists of a spicy mix vegetable mash & soft buns. Usually pav bhaji is served with a generous amount of butter topped along with some fresh chopped onions & lemon juice. The butter toasted pav are eaten along with the veggie mash or bhaji. 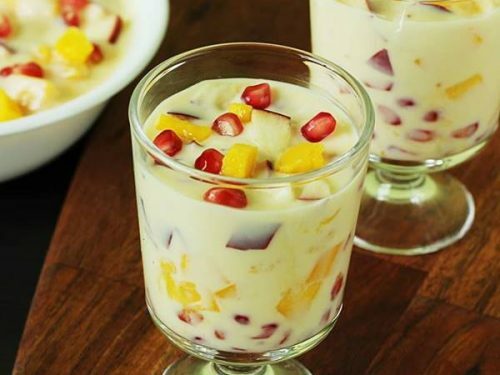 Apart from pav bhaji, Masala pav, Sev puri, Aloo tikki, Dahi vada, Pani puri, Batata vada, samosa and vada pav and are some of the popular street foods from mumbai. Usually the street side bhaji is made with more potatoes & onions. 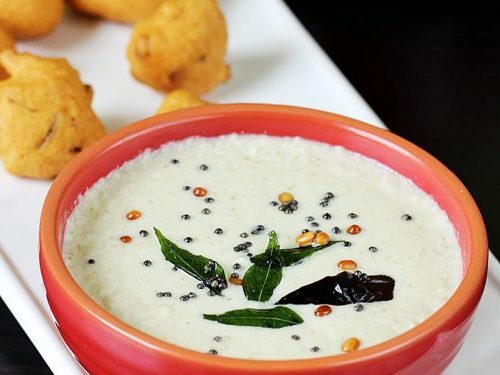 Veggies like cauliflower, capsicum & peas are used in little quantities or even skipped. Street stalls selling mumbai pav bhaji often avoid cauliflower as it turns out to be expensive for them. 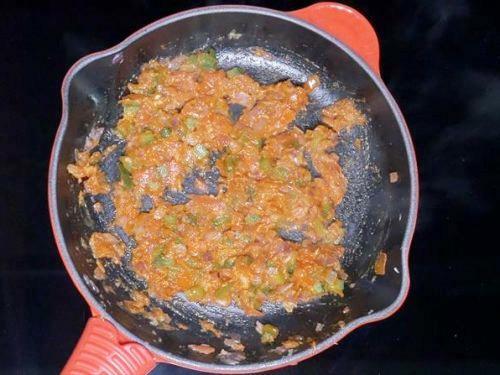 But while making it at home, it is good to use it as the flavor of bhaji turns out excellent. You can adjust the amount of veggies to suit your taste and liking. There are many pav bhaji masala powders available in the market which can be used instantly. Each one differs in the flavor and taste. But the basic ingredients almost remain the same. Only the quantity of ingredients change. So you can chose the one you like. I like my homemade masala powders so I make my own pav bhaji masala powder at home. You can find the link in the recipe card below. I have shared it here in brief. You can also make pav bhaji masala powder by dry roasting the following ingredients. 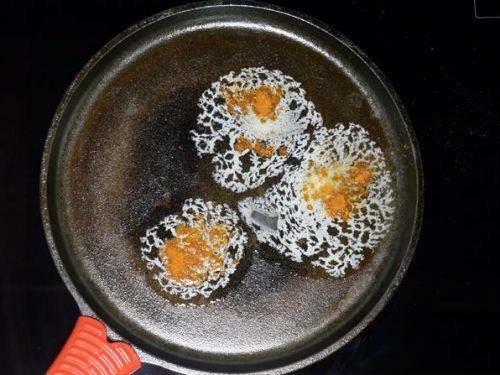 Powder them in a spice jar and use as needed in this recipe. 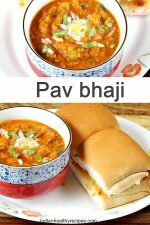 Easy pav bhaji – A detailed recipe to make quick & delicious mumbai pav bhaji at home. Bhaji is a thick buttery mixed vegetable curry served with Indian buns – pav. 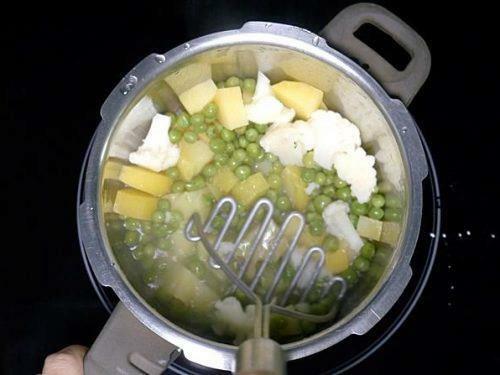 Add ½ to 1 cup cauliflower florets, 1 cup cubed potatoes and ½ to ¾ cup peas to a pot or pressure cooker. Pour water to partially cover them and cook until soft or tender. If cooking in cooker, let it whistle twice. When the pressure releases open the lid and mash them well. Add 1 tablespoon butter and 1 tablespoon oil to a pan and heat up. Next add ¾ cup finely chopped onions and fry till they turn translucent. Then add 1 teaspoon ginger garlic paste and 1 chopped green chili. Fry till it becomes fragrant. Fry ½ cup capsicums for 3 to 4 minutes. 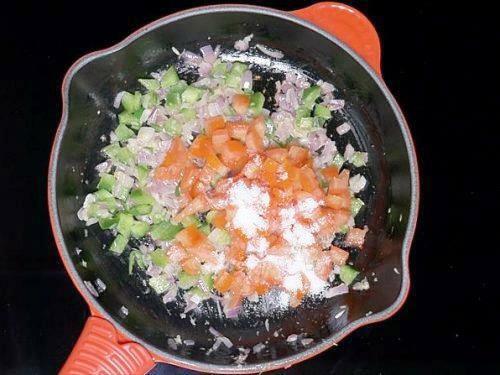 Add 1 large chopped tomato and ½ tsp salt. Fry till tomatoes turn soft and mushy. Next add ½ to ¾ teaspoon chili powder and 1 tablespoon pav bhaji masala powder. Mix and fry for another 2 minutes or until the raw smell of the mixture goes away. Add boiled & mashed veggies. Pour water just enough to bring to a consistency. Cook for 3 to 5 mins until the bhaji thickens. Add ¾ tsp kasuri methi if using and cook until it reaches a desired consistency. Slit the pav buns horizontally leaving one edge intact. 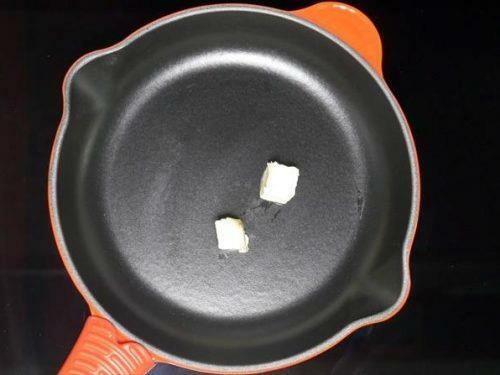 Heat butter on a pan. Open the buns and sprinkle some pav bhaji masala on the butter. 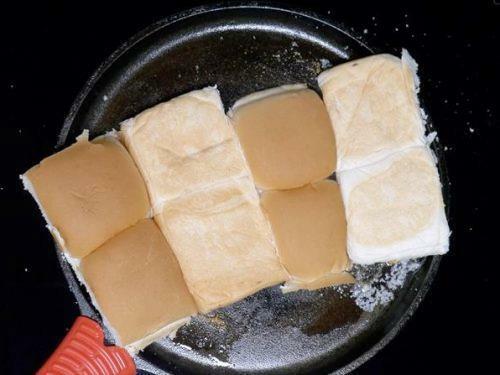 Place the pav & toast them for a min or two. 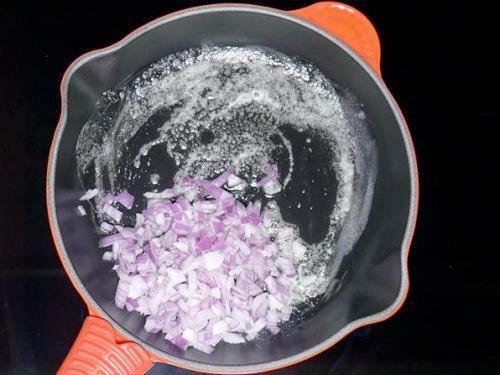 Garnish with onions, butter and lemon wedges. 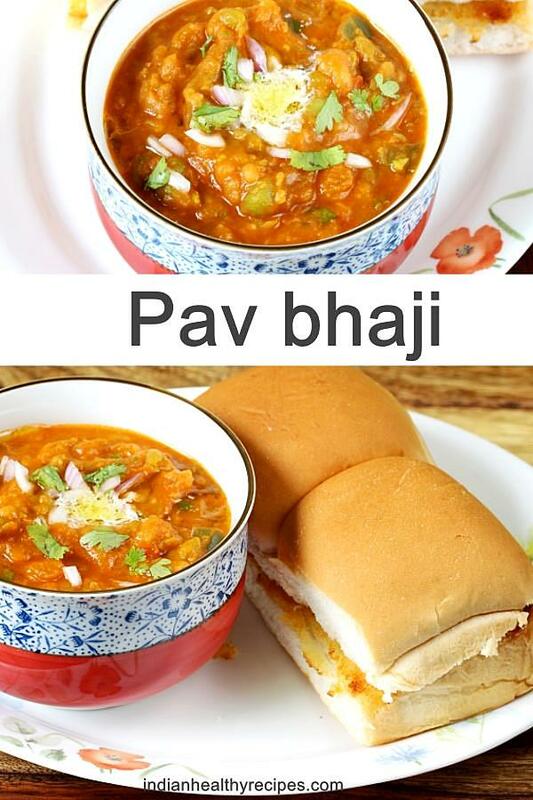 Serve pav bhaji hot or warm. The street style dish is mostly made without cauliflower. If you do not have pavbhaji masala, then replace it with garam masala and more red chili powder. But the flavor will be different. 1. 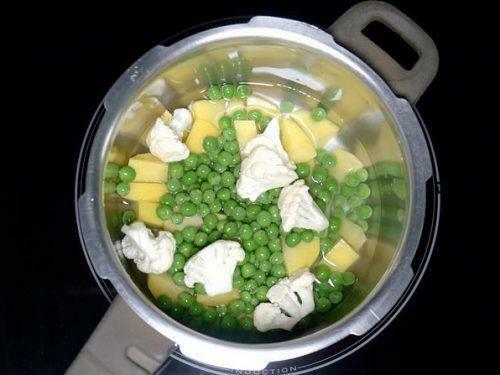 Add potatoes, cauliflower, and peas to a pressure cooker or a pot. Add water just enough to cover them partially. You can also use carrots if you like. 2. 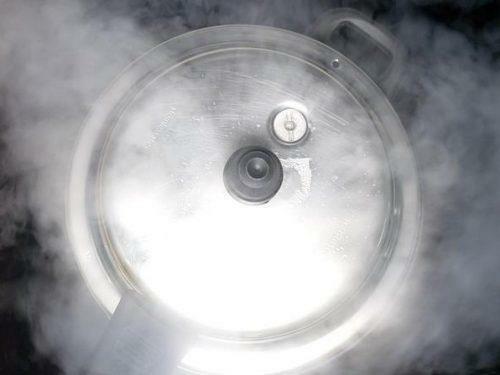 Pressure cook for 1 to 2 whistles on a medium flame. 3. When the pressure goes off, open the lid. Veggies should be soft cooked. Mash them well. 4. 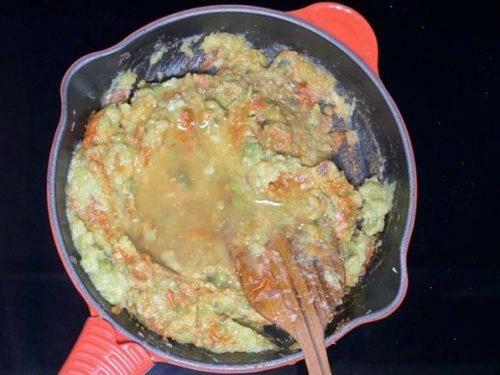 Heat butter or oil in a pan. Butter tastes best. 5. Add onions & fry till they turn translucent. 6. Add ginger garlic paste and green chilli. Fry until it smells good. Take care not to burn. 7. Add bell pepper. Fry for 2 to 3 minutes. 8. Add chopped tomatoes and salt. Fry till tomatoes turn mushy, soft and pulpy. 9. Add chilli powder and paav bhaji masala powder. 10. 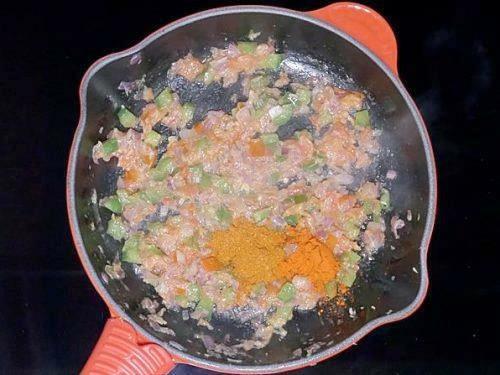 Mix well and fry for 2 to 3 minutes. 11. Add the boiled & mashed veggies. Add water as needed and stir. 12. 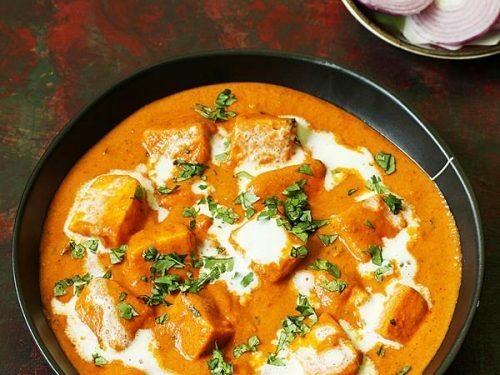 Mix well and simmer for a while to bring out the flavor of masala. You can add kasuri methi if you like. 13. 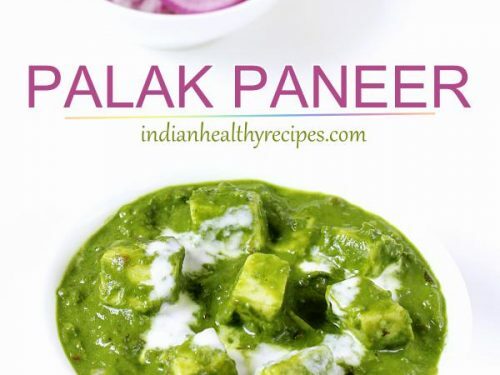 When it reaches the desired consistency, add chopped coriander leaves. switch off. Add some lemon juice. 14. Slit the pav horizontally leaving one edge intact. Heat butter on a tawa. Add little masala powder. 15. Place the pav on the butter and toast for 1 to 2 mins. 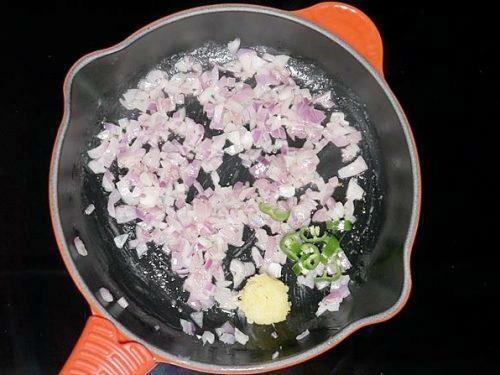 Garnish with coriander leaves, lemon wedges and chopped onions. Top with butter on hot bhaji. 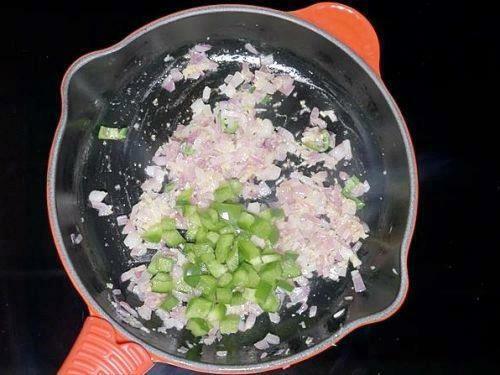 Serve pav bhaji with some butter topped and onion. Your pav bhaji is a hit at my place. The kids were very joyful eating this homemade pav bhaji. 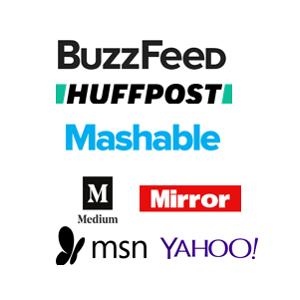 Any specific tips to follow if making in instant pot. Next week I will have some friends for lunch. Keen to make it in a IP. 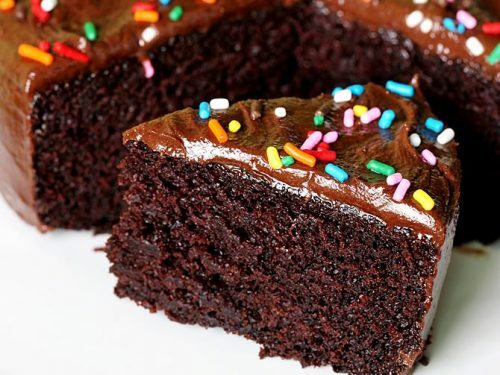 Thanks much for your amazing recipes. You are welcome. Thanks for trying the recipe. Yes you can make the one pot bhaji in IP following the same instructions. Happy to know your pav bhaji came out good. Thank you! So glad to know the pav bhaji turned out good. Thanks for the comment. I would like to make a good fruit chutney using apples, and mangoes, and tomatoes. Do you have a suggestion? Tried and it came out awesome! !! Just like streetshop’s!